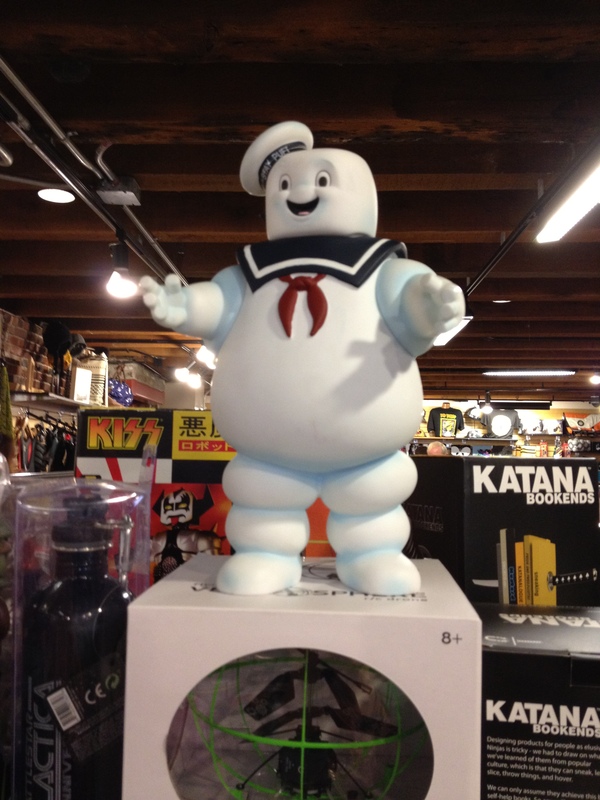 The Stay-Puft Marshmallow Man can be your chat guide (and chosen Destructor Form of Gozer) on Twitter. Way back in May 2013, my third installment of the “little black blog” was all about Twitter hashtags. But there’s more to hashtags than pound signs combined with strategically organized letters. On Twitter, “birds of a feather flock together” for the chitter-chatter of Twitter chats. There are probably as many types of these chats as there are North American bird species! What I really like about #B2BChat is that the people running it are kind enough to post each transcript to the chat’s Twitter account. If you’re intrigued, check them out on Twitter (@b2b_chat). Put a Little Blog in Your Heart with #Blogchat: Whether you blog about business or personal topics, #Blogchat has you covered every Sunday night at 8 p.m. (CT, so it’s 9 p.m. for my East Coast compadres). Rather than using a Q&A format, this chat’s moderator selects one blogging topic per session, and then a lively discussion ensues. Your host is the fabulous Mack Collier (@MackCollier), whose professional goal is to cajole you to “Think like a rock star.” To learn more before you jump into the blogging mix, here is Mack’s helpful explanation of the #BlogChat rules. And no, the first rule has nothing to do with Fight Club! #SmallBizChat Is a Lifeline for New (and Even Seasoned) Entrepreneurs: Many of you in the southern New Jersey and Philadelphia region should know the name Melinda Emerson, better known as @SmallBizLady. She rocks my online world! On Wednesday nights at 8 p.m. (ET), Melinda interviews a small business expert. The resulting Q&A is meant to enlighten entrepreneurs aspiring to grow their respective little acres of free-market enterprise. Every Thursday morning, Melinda posts the Q&A transcript on her blog. Check out her guidelines regarding how you can become a #SmallBizChat guest or sponsor. #GetRealchat is a community of participants, but Pam also invites her Marketing Nutz clients to be chat guests (I think). These occasional guests have represented companies such as UPS, AT&T, Kodak, and Whirlpool. A topic Pam and the other “assorted nuts” recently discussed was “Humanizing Your Brand on Twitter.” Like other gracious moderators, she posts chat transcripts online (via the #GetRealChat feed). #KaizenBiz Offers Continuous Improvement (140 Characters at a Time): Konnichiwa! While this particular Tweet chat is a bit more esoteric, it will feed your business need for thinking before doing. Hosted by Elli St. George-Godfrey (aka @3KeysCoach) on Fridays at noon (ET), #KaizenBiz rotates between a Q&A format and “bring your own headline” discussions. Do you follow or participate in any of the chats mentioned in this post? If so, which is your favorite and why? Please don’t hesitate to share the hashtags of other business-oriented Tweet chats you suspect my gentle readers might enjoy (thank you). Lori Shapiro is the owner of By All Writes LLC, a business-to-business (B2B) writing, editing, and research company in Marlton, New Jersey. She revels in shielding her clients from the pain of writing their own print and web marketing copy. Please call Lori Shapiro at 856-810-9764 or email By All Writes LLC at lori@byallwrites.biz for a no-obligation project quote today!